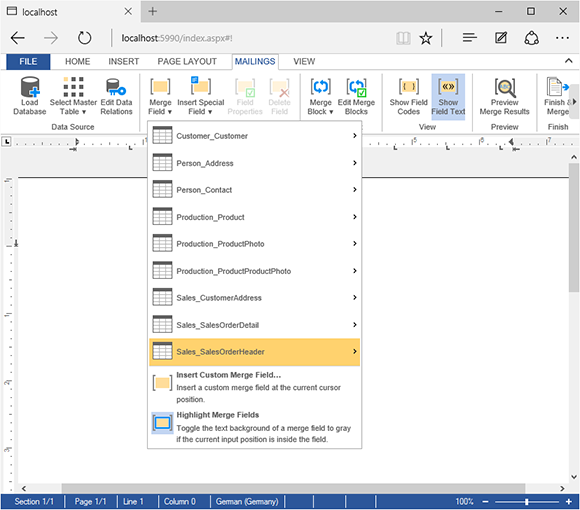 After loading a database excerpt file into the Mailings tab of Web.TextControl, a master table must be selected to perform the report preview. 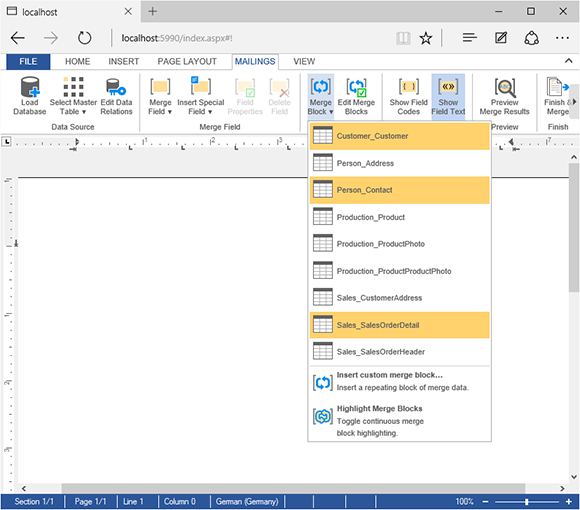 This is the same master table that is used when merging the template using the Merge method of the reporting engine MailMerge. 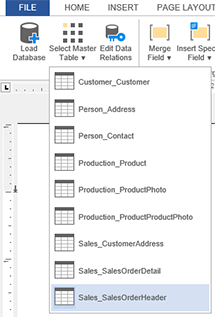 This master table is used to match the merge fields with database columns. All nested blocks must have a relation to this master table in order to be merged properly. Merge fields from child tables can be inserted using the "dot notation" by adding the table names as prefixes to the merge field names. But each and every field or merge block must have a relation to the selected master table. 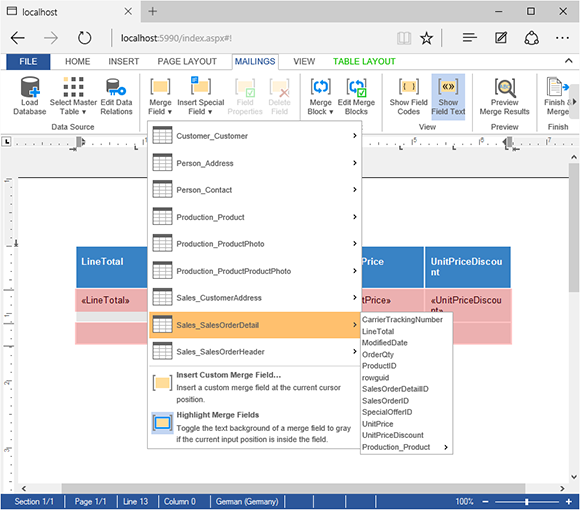 To help users to select the right tables when inserting merge fields or merge blocks, the drop-down items that have a relation are colored in orange in version X13 (23.0). The relations can be added in the dialog Edit Data Relations. 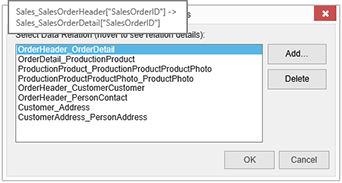 The following screenshot shows the relations of the sample database and the main relation between Sales_SalesOrderHeader and Sales_SalesOrderDetail. Stay tuned for more helpful features of TX Text Control .NET Server for ASP.NET X13. Did you already pre-order your licenses? Make sure to get your free spell checking license.